Harmonizer, or as lovingly referred to as HARMO around these parts is the Vermont duo of Toby Aronson and veteran zone shredder Greg Davis, whose explorations into pastoral electronics have been well documented by Kranky, Carpark and his own Autumn Records. The duo’s previous effort, a self-titled cassette on Aronson’s own stellar NNA Tapes label was the definitive “5th World” statement and solidified them with the koan of nu free electronic music shared by the likes of fellow melodic noisers Caboladies and Oneohtrix Point Never. 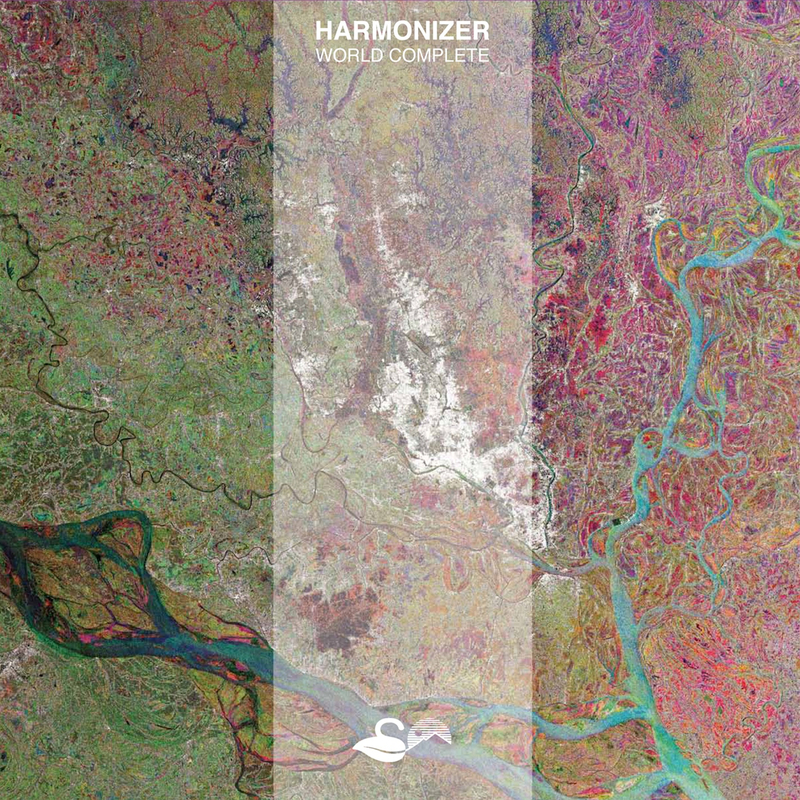 On WORLD COMPLETE Harmo boggles brains via the storied terrain that Jon Hassell once charted, adding sub bass, magic eye loops and some fusion gomf that is makes them decidedly more On The Corner than Aka-Darbari-Java. But who needs to be convinced about a band named after the most dramatic stompbox of the late 20th century. We don’t. Band burns, this EP burns. Sayonara.